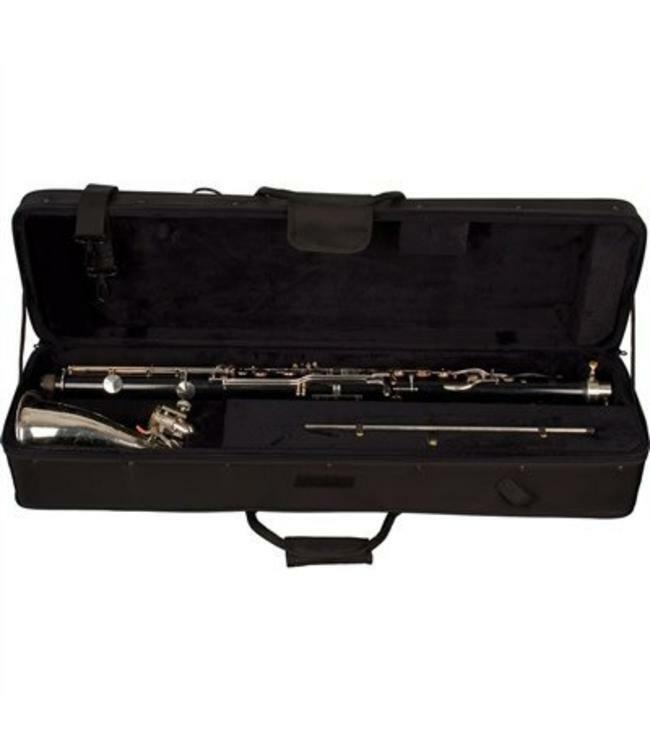 Protec’s bass clarinet case is designed to fit one-piece bodies and low Eb keys located either on the body or bell. Two sizing blocks are included inside the case. The smaller block fits longer bodies up to 36” in length with a low Eb key located on the body. The larger block fits shorter bodies up to 34” in length with the low Eb key located on the bell. Not designed to fit bass clarinets in keys of C or A. Fits popular brands with one-piece bodies including Selmer, Buffet, Yamaha, Jupiter, Leblanc, and Vito. Fits most one-piece bodies measuring 34 to 36 inches in length (863.6 to 914.4mm). Fits low Eb keys located either on the body or bell. External dimensions: 37.25 x 11 x 7.75"
Front pocket interior dimensions: 19 x 8 x 1.5"